Struggling with an alcohol addiction is no laughing matter. It can take everything you have in your life and flip it upside down. There are some alcoholics who get alcohol poisoning, end up in the hospital, or lose their life to the addiction. You don’t have to be one of those people. You can get the help you need by finding an inpatient alcohol rehab today. Yes, it can be overwhelming trying to find the right alcohol rehab. However, it doesn’t have to be if you follow the right guidelines for finding treatment. Are you ready to better your life? 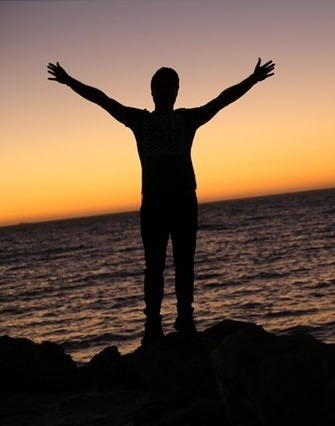 Do you want to begin your journey into sobriety and recovery? Are you ready to live a more satisfying, peaceful, and contented lifestyle? There are many alcohol treatment programs available to help you do these things. Millions of people all around the world have overcome an alcohol addiction and you can as well. People enter into alcohol rehab centers in many ways. Some of the alcoholics are referred to an alcohol rehab center via their family doctor. Others might be sent into alcohol rehab by a counselor or mental health professional. Some people are required to attend alcohol rehab by the court system, after getting an alcohol related charge. There are some people who get alcohol poisoning and are sent to detox after being in the hospital. It is important that everyone who suffers from an alcohol addiction can be able to get treatment. If you need help in finding the right inpatient alcohol rehab program, you can reach out for more information today. You can get help in finding the right addiction treatment services, proper rehab center location, appropriate types of treatment, and more. It is always best to attend a certified or recognized treatment center as well. Inpatient Alcohol Rehab Treatment: What is It? d others at the rehab center will make sure you get the care you need while detoxing and recovering. They will teach you about alcohol dependence, relapse prevention, overcoming the addiction, and so much more. While attending an inpatient alcohol rehab center program, you won’t have a lot of downtime. This is because the rehab center staff wants you to keep your mind focused on recovering. The longer you sit, without working on your recovery, the longer you have to think about drinking again. Some of your time spent at the inpatient alcohol rehab center will be spent alongside other recovering alcoholics. You may attend group therapy sessions and participate in recovery related activities with other residents. Besides spending time with other recovering alcoholics, you may also attend individual therapy and participate in an educational program. Many alcohol rehab centers offer life skills activities and workshops too. Each treatment center has their own philosophies. Based on these, you may also partake in the 12 Step meetings or other recovery meetings as well. When you are trying to find an inpatient alcohol rehab that works for you, there are certain things you should look for. Some rehab centers are based on age or gender. If you want a gender specific rehab center, that is something you can enroll into. Your medical history, along with any mental health issues, should be considered before deciding on a specific rehab center. You should look at how much social guidance and support you may need. If you have a job, you may want to talk to your employer about your choice to attend an inpatient rehab center. You can’t lose your job for choosing to attend a rehab. You must try to find an alcohol rehab treatment program that fits your needs. Each person has their own triggers as well. You want to make sure the rehab center program will tailor to helping you deal with and manager these triggers. Addiction is not one size fits everyone. You need to have a customized treatment program that fits you. The team tailoring to your addiction treatment plan will create you a specific treatment plan. They will help you overcome your issues related to substance abuse and addiction. The therapy plan you have will also be tailored to your recovery needs. These are just some of the types of therapies that you may encounter during your stay at the inpatient alcohol rehab center. The decision on which therapies you will be attending will be based on various things. Some factors this will be based on may include your mental health conditions, history of alcohol abuse, severity of the addiction, past coping mechanisms, co-occurring disorders, and more. During your intake assessment, you will discuss all these things, so your therapy schedule can be implemented properly. Addiction treatment centers want to make sure every issue you have is addressed. If even just one thing is ignored, you could have a much higher risk for relapsing. If you have struggled with alcohol addiction for a longer time frame, you may also have other physical health issues that need to be addressed. The inpatient alcohol rehab center will take this into consideration when creating your treatment plan. These are just some of the things that might be included in your aftercare plan. Before you leave the rehab center, it is best to make sure you have an aftercare plan in place. This will greatly reduce your chances of relapsing. Before you pick an inpatient alcohol rehab center to attend, ask them about their help in aftercare planning. You can have a great life ahead of you. When you are suffering from an alcohol addiction, things may look bleak. However, when you find the right inpatient alcohol rehab, things can change. You can see the light at the end of the chaotic lifestyle you have been living. You can see there is peace in your future. Going through detox, withdrawal, and recovery can be tough. However, many recovering alcoholics have stated the benefits are completely worth it. 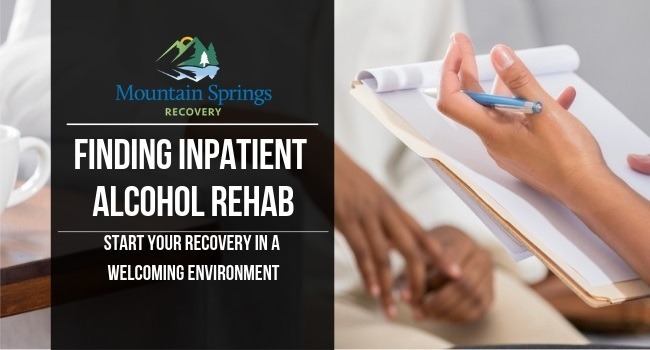 If you do find the right inpatient alcohol rehab for you, then your recovery process may go much smoother. Start the process today. Make the call to get enrolled into an alcohol rehab treatment program that fits your needs.